It appears to just be his top half, but still, this is a very large Bernie Sanders doll. 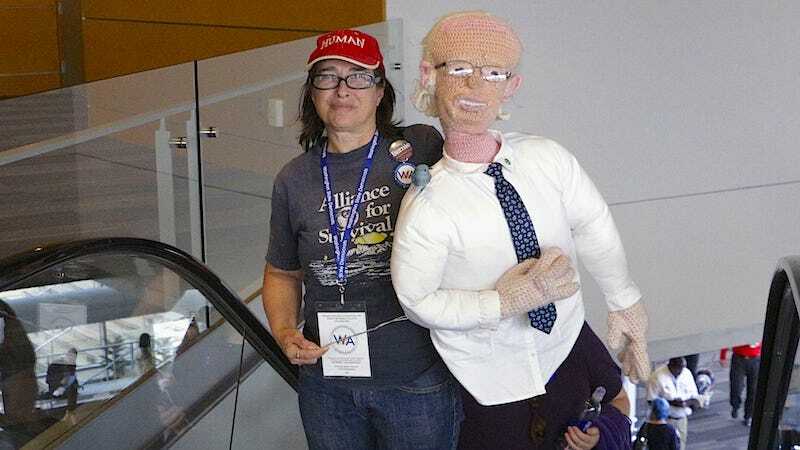 Donna Burdick, a delegate from Everett, crafted the life-sized upper body of Sanders, complete with tie and eyeglasses, shortly after the caucuses earlier this year. The final touches — his teeth and a bird on his shoulder — were added on Friday, the first day of the convention.